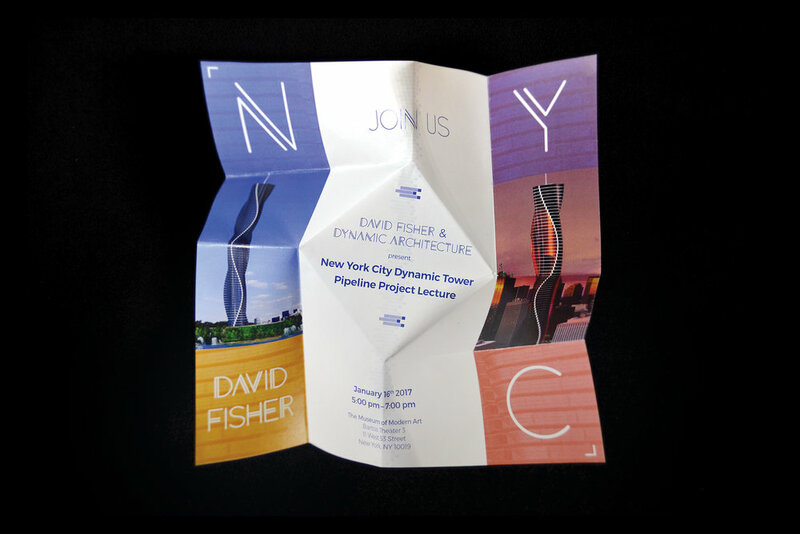 I was given the challenge of creating an invitation for an Architecture event that used some kind of folding technique or 3D effect. 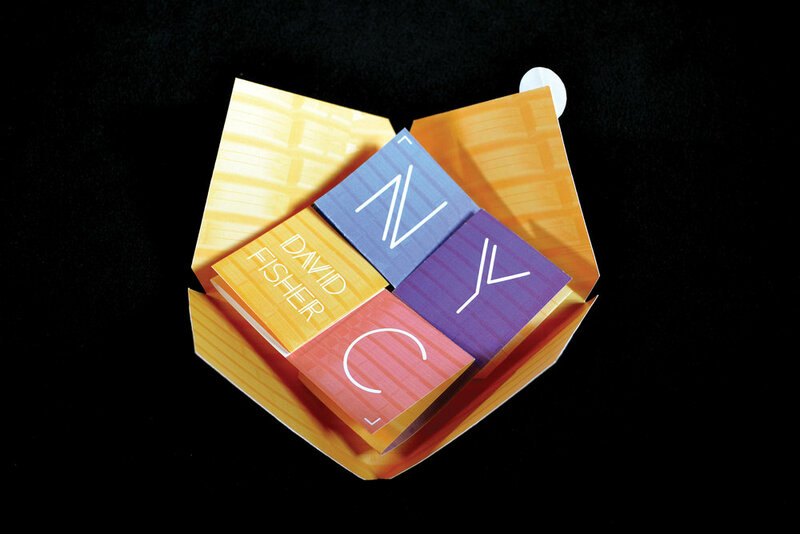 I did some research on famous architects and learned about David Fisher and his Dynamic Tower. The Dynamic Tower is a proposed building in Dubai that is split by floor and constantly spinning around in the wind. Using this information as inspiration, I created a Pipeline Project Lecture invitation for a potential Dynamic Tower in New York City. The invitation was created with a twist fold and by pulling two corners; it twists open to reveal more details about the event. 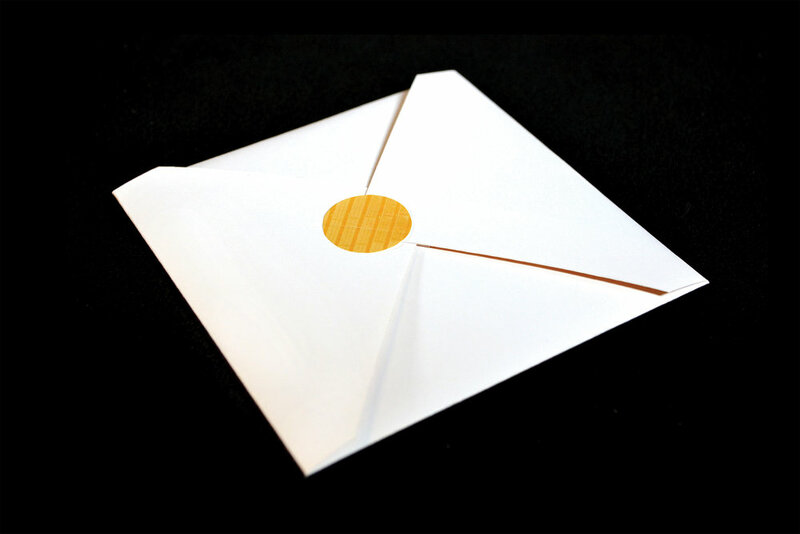 The envelope I designed opens from the center using a sticker and it holds the folded square invitation. I printed a mailing label directly on the envelope and a full bleed pattern on the inside.